Chinese handset maker LeEco has requested the government to relax mandatory sourcing norms for the company as it looks to ramp up its retail presence in the country. At present, 100 per cent FDI is permitted in the sector but beyond 49 per cent, FIPB permission is required. "We have also asked the government to give us an exemption on it, on the 30 per cent (local sourcing) norm. We haven't heard from them as yet on where the status is. But we believe the application is on right now, so it's really with the government to come back to us," LeEco India Smart Electronics Business COO Atul Jain told PTI. While the Finance Ministry rejected the waiver of mandatory 30 per cent local sourcing for Apple, Xiaomi is believed to have withdrawn its proposal. Asked if LeEco will manufacture its devices in India, Jain answered in the affirmative. "We are at a very advanced stage of doing it and I think in the next 2-3 months, we will be in a position to make a formal announcement. We are looking at both third-party and greenfield ventures," he said. The company already has an R&D centre in India with close to 1,000 people. LeEco on Wednesday launched two new smartphones -- Le 2 and Le Max 2 -- priced at Rs 11,999 and Rs 22,999, respectively. It also announced the launch of its ecommerce platform LeMall in the country. "Customers will get access to our devices and accessories as well as offers and content through LeMall, our marketplace website. 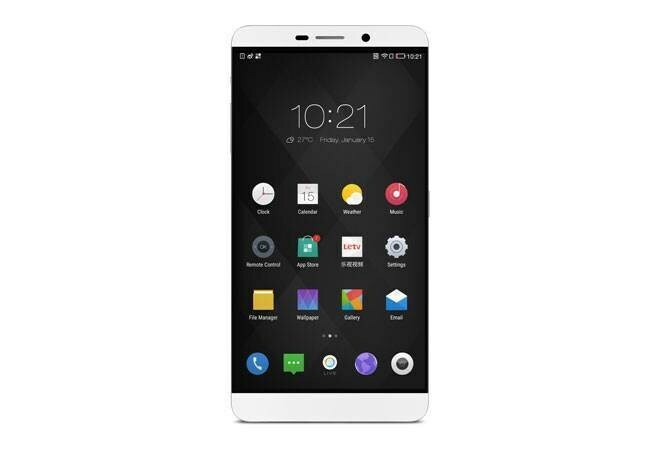 LeMall is an important step in establishing our footprint in India and will serve as the primary channel for customers to engage with the brand," LeEco Head of North American Operations Brian Hui said. Le 2, which is the successor to Le 1S, comes with a 5.5-inch display, 1.86 GHz octacore Qualcomm Snapdragon 652 processor, 3GB RAM, 32GB memory, 16MP rear and 8MP front camera and 3,000 mAh battery. Le 2 will support all 4G bands in India and will also have Voice over LTE (VoLTE) very soon through an update. Le Max2 is powered by 2.15 GHz quad-core Qualcomm Snapdragon 820 processor, 5.7-inch display, 21MP rear and 8MP front camera. The device will come in two variants -- 4GB RAM and 32GB on board memory (Rs 22,999) and 6GB RAM and 64GB on board memory (Rs 29,000). LeEco will have its first flash sale for Le Max 2 on June 28 and for Le 2 in early July. Registration for both the models will be open on June 20 on ecommerce firm Flipkart. Tags: Chinese handset maker | LeEco | mandatory sourcing norms | Foreign Investment Promotion Board | FIPB | Apple | Xiaomi | LeMall | Voice over LTE | VoLTE | Flipkart.